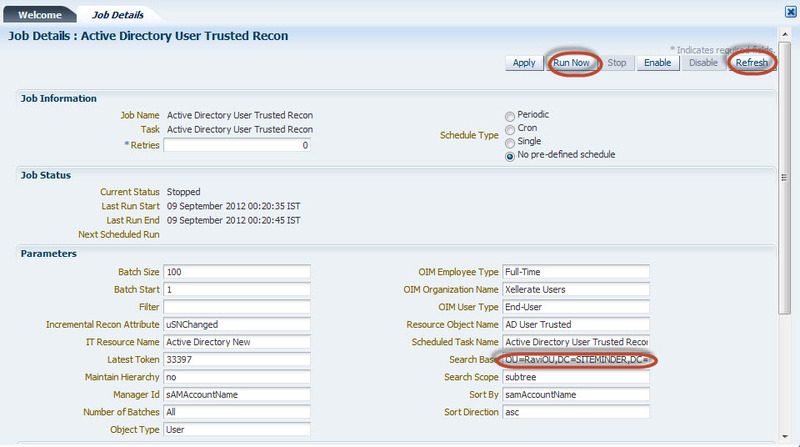 In this Lab we are going to get users from Target Resource AD to OIM through Trusted Recon. 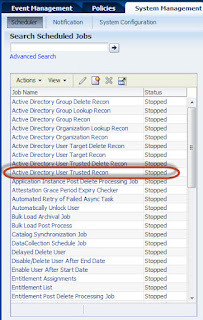 3) Go to Scheduler -> Active Directory Trusted Recon. 4) Verify all values before running Recon. 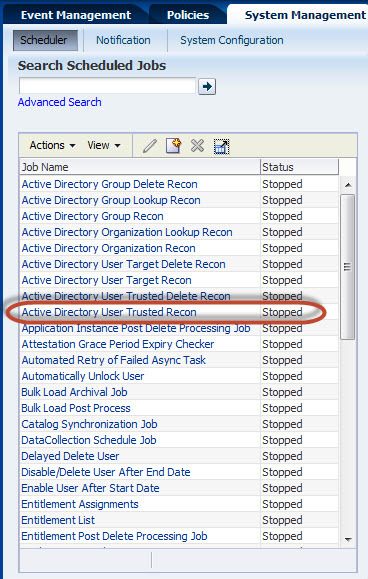 5) Verify if recon run successfully or not. 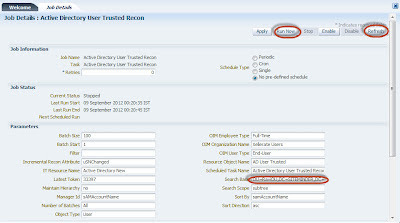 6) Go to Users in Identity console and verify if users got created or not. If there is any problem with user creation verify pending approvals and make sure that SOA server is running fine. oracle.iam.connectors.icfcommon.exceptions.IntegrationException: The value for a key [IT Resource Name] is not defined in the provided map. Solution: Make sure that all the required attributes are available for user in AD (example : firstname, lastname etc).